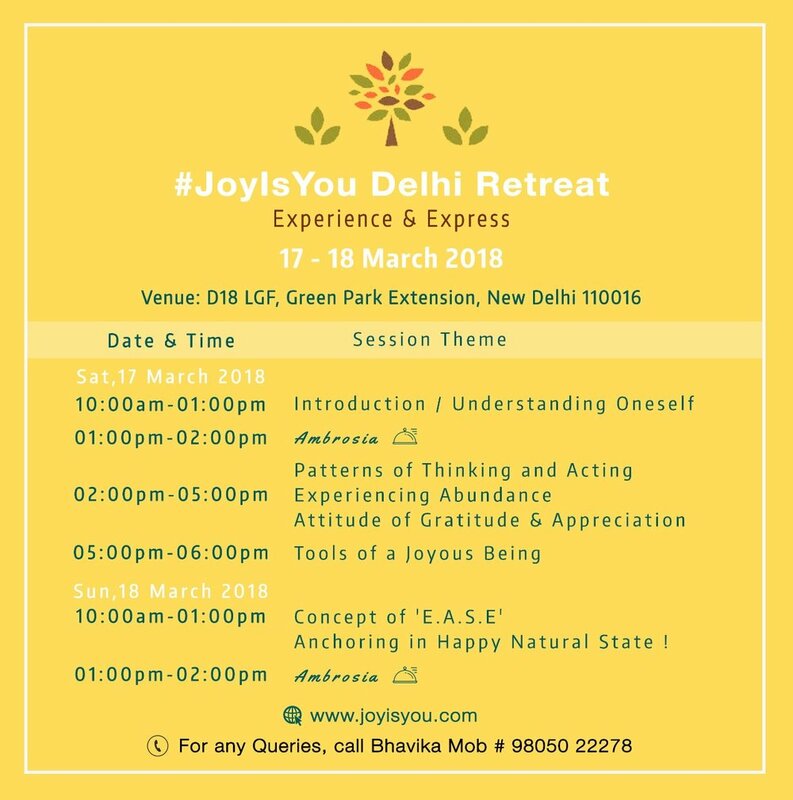 We are happy to announce #JoyIsYou's Self-Discovery Retreat in Delhi on 17th and 18th March, 2018. Our intention in launching these #JoyIsYou retreats is to enable more and more people to experience joyous natural state and express the innate qualities! This retreat is based on over a decade of Self Discovery Experiences we have offered to young people at IIT Delhi. How did you hear about JoyIsYou?